book clubs ruled in school! I don't know about you, but I loved placing my book orders through Troll, Weekly Reader and Scholastic book clubs at school. Mom and Dad were teachers and never skimped when it came to books. I knew however many books I wanted, they wouldn't refuse me literature. 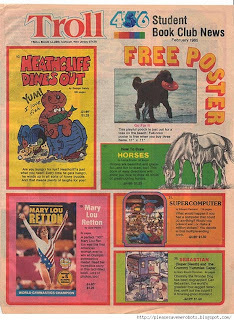 I would order terrific books about Gremlins, Garfield, Heathcliff, Michael Jackson, Dynamite magazines and more. I remember the excitement when the books were doled out in class. The smell, the feel, the excitement of a brand new book! With four kids, I've doled out plenty of bucks for that! I LOVED those and remember the exact feeling you’re talking about when the teacher passed out the orders! I taught Kindergarten for two years and filled up every order form when we did book clubs. Now my kids have tons and tons of books. I also loved book sales in the library every year! I was a bookworm and would always get geeked out about book order day. A lot of allowance went to those guys. 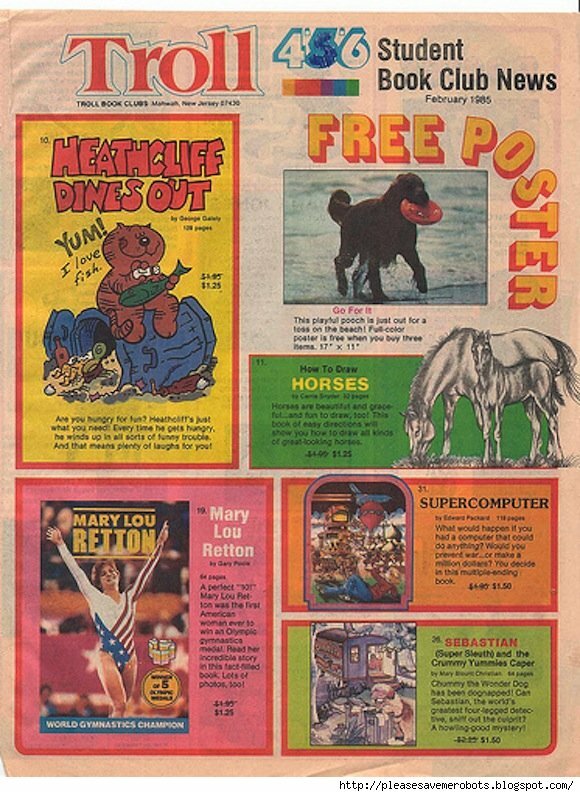 I *loved* the Weekly Reader! They should have those for adults. Loved being able to order books from the Scholastic Book Club and buy them at the annual book fair at the school. I still have most of my books stored out in our barn. Hurray for book orders! Scholastic was my favorite, but I loved them all. When my teacher would open that big box and pass out the books, videos (ahh, the days before DVDs and Blu-ray), etc. it was so exciting! Now I'm a nanny and the girls I take care of love book orders just as much as I did. It's good to see that love passed on to another generation. I always got at least a book every month. Even as a teacher I would buy lots of stuff. Always great. I just found your site from Pinterest. Thank you for the flash back in time. I love it! I remember so many of these things. I'll definitely be back.